North Korea test-fired two medium range ballistic missiles in a move violating a UN Security Council ban. 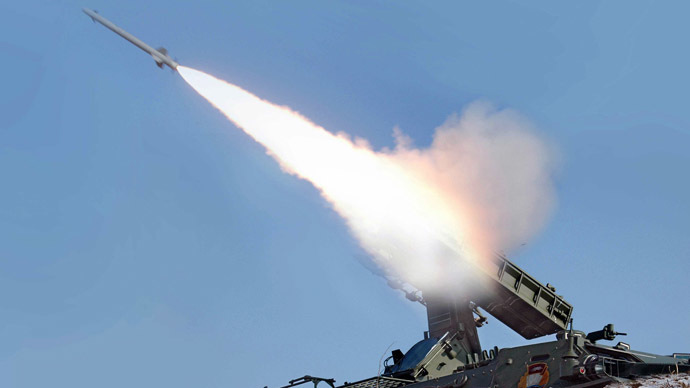 The launches come after test-firing of short range rockets, and coincide with annual joint US-South Korea war games. The unannounced launches on Wednesday morning came less than ten minutes apart. 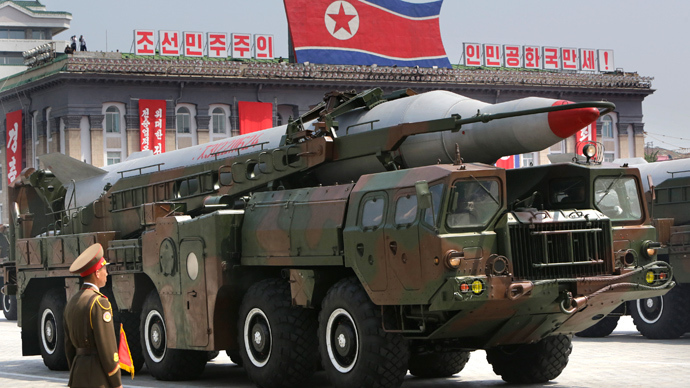 The missiles were fired from Sukchon in the west of the country and flew over North Korea and into the Sea of Japan, South Korea’s Defense Ministry reported. The missiles flew some 650 km rising as high as 160 km and traveling at over Mach 7, said ministry spokesman Kim Min-seok. This indicates the missiles were of the Rodong class, a single-stage liquid-propelled ballistic missile with an estimated range of up to 900 km, which can be fired from a mobile launcher. "The missile launch constitutes provocations that violate the UN Security Council resolutions and add tensions on the Korean Peninsula and in the Northeast Asian region," South Korea’s foreign ministry said in a statement. "The government calls on the North to immediately halt such provocations and fully comply with its obligations and promises with the international community." A 2006 resolution of the UNSC, which was passed in the wake of its first nuclear test, prohibits North Korea from developing ballistic missile technology. Pyongyang defied the ban on several occasions. The latest example was the successful space launch of a satellite in 2012, which many countries saw as a veiled test of a long-range ballistic missile with military needs in mind. Rodong launches are rare in North Korea, which has tested the missile twice, in July 2006 and in July 2009. 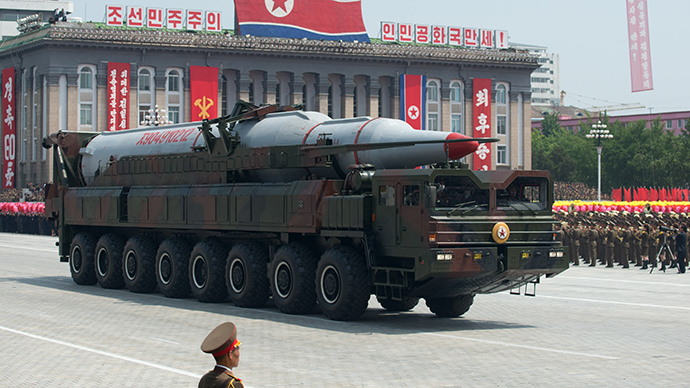 North Korea is believed to have between 50 and 100 missiles of the type. The launches were criticized by the US and Japan, although Tokyo stressed that they will not affect planned talks with Pyongyang scheduled later this month. China called all relevant parties to show restraint and take steps to relax regional tensions. The ballistic missile test comes shortly after North Korea conducted several launches of short-range missiles. South Korean military believe that the demonstration of force comes in response to joint war exercises. "The North's pre-dawn missile launch is believed to be aimed at protesting against South Korea-US joint military exercises and demonstrating its infiltration capability in a show of force," Kim said. The two-week exercises called Key Resolve ended in early March while the two-month training program Foal Eagle runs through mid-April. Washington and Seoul conduct such exercises annually, while Pyongyang protest them, saying the accompanying build-up of troops is a threat to its national security. The launches on Wednesday came hours after a joint press conference in The Hague, where leaders of South Korea, the US and Japan held trilateral talks on the sidelines of a global nuclear forum. They also coincide with the commemoration in South Korea of the fourth anniversary of the sinking of the warship Cheonan, in which 42 sailors were killed. Seoul says North Korea torpedoed the ship as it was taking part in naval exercises, an allegation that Pyongyang denies.